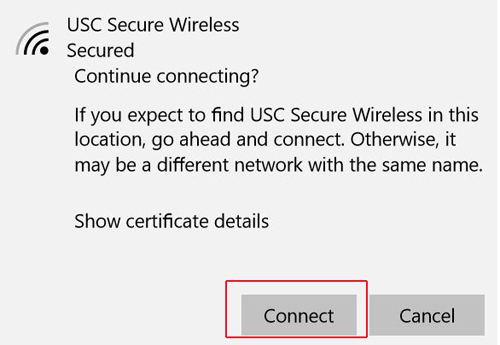 This page will explain how to connect a computer running Windows 10 to the USC Secure Wireless network. Press the Windows key at the bottom left corner of the desktop/home screen. 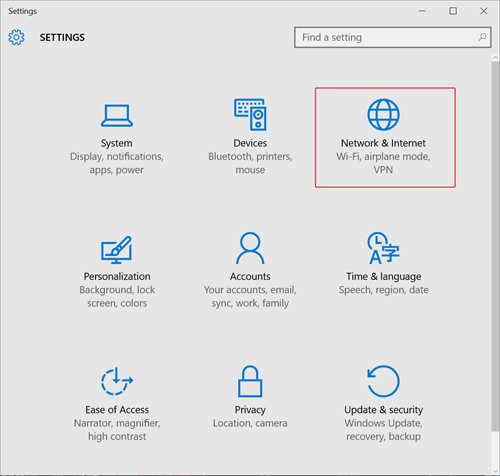 On the Settings screen, click the Network & Internet icon. 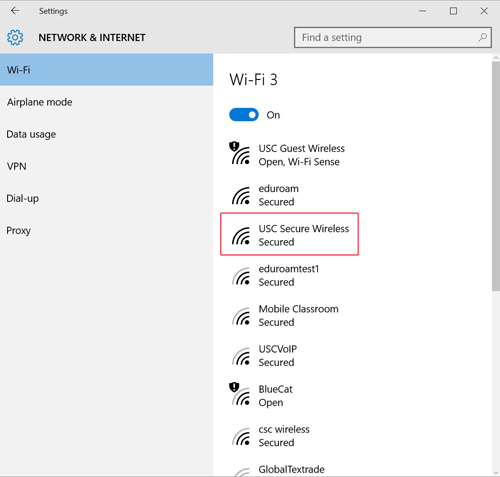 Go to the WiFi section and select USC Secure Wireless. The USC Secure Wireless screen will display. Enter your USC NetID username and password and then click OK. Your USC NetID is the username and password you use to connect to services such as my.usc.edu and Workday. NOTE: You will need to update your device’s USC Secure Wireless connection with your new USC NetID password any time you change your password at netid.usc.edu/account_services/change_password. 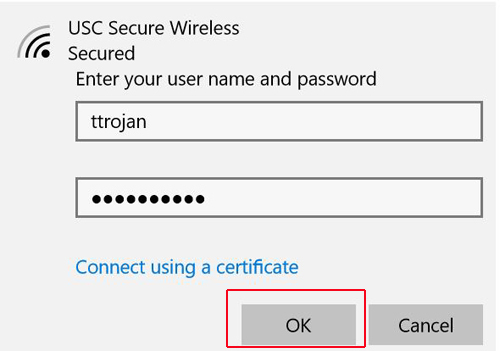 To get help with access to USC Secure Wireless, contact the ITS Customer Support Center.